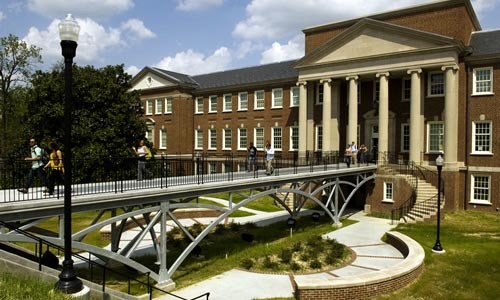 The University of North Carolina at Greensboro (UNCG) has joined the Rachel Carson Council Campus Network. Noted for its reputation in the arts and performance, UNC Greensboro meets Rachel Carson’s call to cultivate a sense of wonder, imagination, and awe for nature. UNCG has signed the American College and University Presidents’ Climate Commitment while continuing to stress the arts. The Director of Environmental Studies, Aaron Allen, is a musicologist who teaches performance students about green musical instrument production that includes recycled and sustainably grown wood and other materials.